Till the November 2017, Netgear Nighthawk M1 was always the fastest 4G LTE Pocket WiFi in the market. With the support of download speed of 1Gigabit per second and 150Mbps for upload, Netgear Nighthawk M1 is very popular in the users who are looking for high-speed terminals to work with LTE advanced Pro networks. 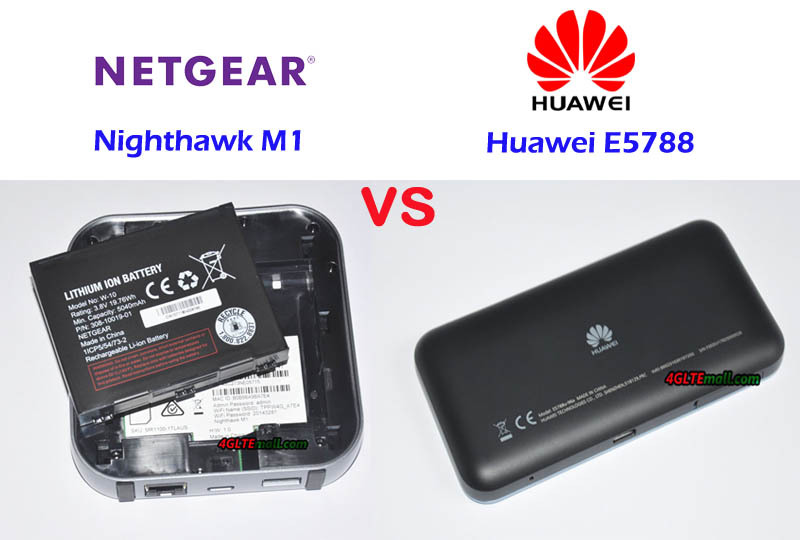 With the release of a new 4G LTE Mobile Hotspot Huawei E5788, Netgear Nighthawk M1 has a challenging competitor. Huawei E5 mobile hotspots are always the most popular wireless routers all over the world. Now the most advanced Huawei E5788 comes with Huawei advanced LTE technology. Today we will have a look at what the new LTE hotspot bring to us and what’s the difference between the two Gigabit LTE mobile routers. If you already have known the Netgear Nighthawk M1 mobile hotspot router, you may know the Netgear Nighthawk M1 is in a square shape with LAN port. The Huawei E5788 doesn’t have the LAN port, it seems to be upgraded from the Huawei E5786 LTE cat6 mobile hotspot. Huawei E5788 has a 2.4-inch color touchscreen to show the information about the connection in square shape while Netgear Nighthawk M1 has also same size screen but in round shape. The power button of Netgear Nighthawk M1 is to switch the menu. The SIM card slot of Huawei E5788 is at the side of the device while the Nighthawk M1 design the SIM card slot in the inner part under the battery, which is similar to the predecessor Netgear Aircard 810s. They both have two TS-9 connectors for external 4G LTE antenna in case of use in weak signal areas. 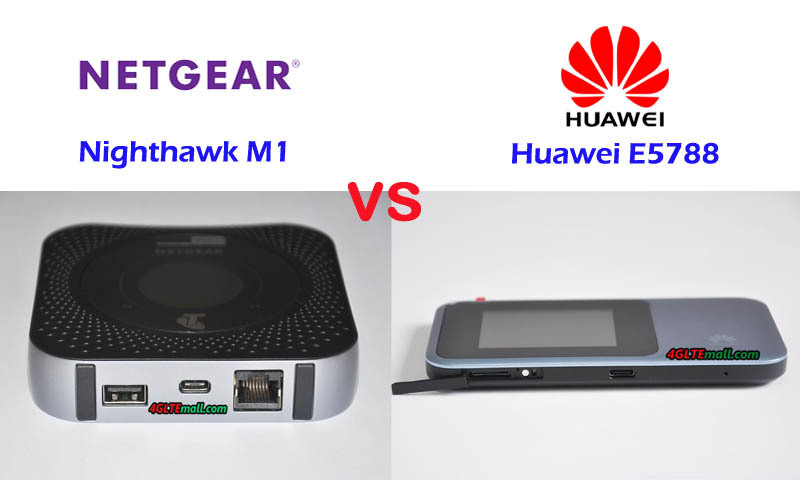 The Huawei E5788 has a built-in battery of 3000mAh while the Netgear Nighthawk M1 has a removable battery of 5040mAh. What’s more, the Nighthawk M1 can charge other electric devices on the large battery. Whether the Huawei E5788 has the same function is not mentioned by the official sayings. From the technical specifications, we can see the two Gigabit LTE routers have very similar functions. The supported LTE frequency bands are different for various LTE networks in different areas. 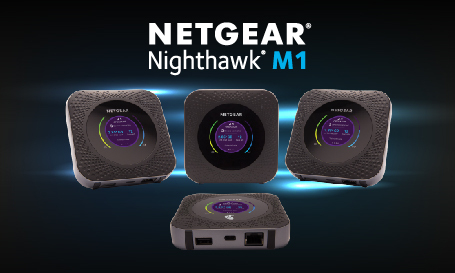 Here now, the Netgear Nighthawk M1 is available in the market and has gained a very good reputation. The Huawei E5788u-96a(first released model) is now available at https://www.4gltemall.com/huawei-e5788-gigabit-lte-cat-16-mobile-hotspot.html. But who will be the winner, the market will tell.